In the Southeast, you can fill your tank and your stomach in one stop. The best Southern food isn’t always where you’d expect. While the region certainly does have its award-winning restaurants, some of the best dishes come from humble roadside eateries and even inside gas stations. 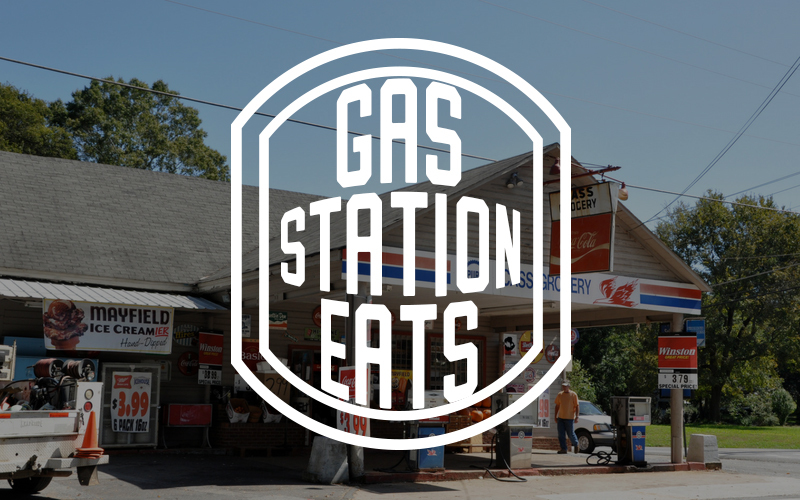 While not entirely a Southern phenomenon, we’ve certainly perfected the gas station eats. And each state offers something different. Country stores and gas station convenience stores were the go-to stores in many parts of the rural South, carrying everything needed from seeds for the farm to prepared foods. These stations served as hubs within communities where access to chain grocery stores was limited. Typically set at the crossroads of byways, The Encyclopedia of Southern Culture says from “1865 to 1930 no institution influenced the South’s economy, politics, and the daily life of its people” than these stores. As the country became more reliant on automobiles, stations grew increasingly important as food sources. While you may find gas station food elsewhere in the country, it is unique to the South that the dishes tell a lot about the place, especially in terms of cultural influences. Some are major gas station chains that have food offered by the independent owner while others are single stores with small-scale restaurants inside. 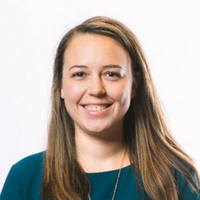 Gas station food is especially an important source for people without access to fresh food—areas called food deserts—providing convenience and low cost. There are no shortage of unique items to find to eat in the American South. Stuckey’s pecan logs are found only in the South and Midwest; kolaches and sweet Czech pastries are common sights in Valero gas stations in Texas. Latin pastries and Cuban sandwiches are must-have treats at the last gas station before Alligator Alley in South Florida. Don’t forget boiled peanuts and fried chicken, advertised on countless roadside signs throughout the region. There are so many great tastes to find at Southern gas stations; here are just four favorites to look for on your next road trip. 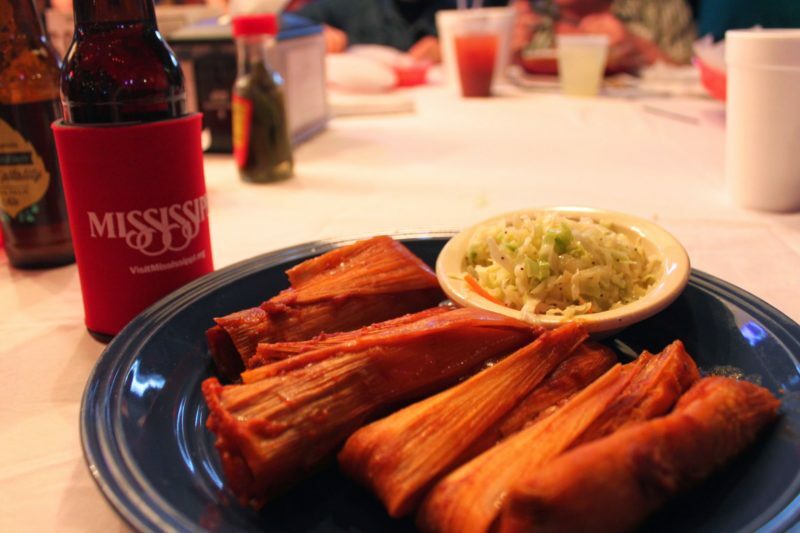 These may have originated in Mexico, but Mississippi has put their own spin on traditional tamales, which can now be found throughout the Mississippi Delta, an area that stretches from south of Memphis, Tenn., to Vicksburg, Miss. Usually made with masa and spicy ground beef or pork and then wrapped in corn husks, the item is then steamed. Its size makes it perfect for road trips as long as you don’t mind getting your hands dirty. There are many places to eat Delta tamales, including restaurants and blues clubs, at a yearly festival, and all along the Hot Tamale Trail. In fact, everyone in the Delta seems to have a favorite. Decide for yourself! Cajun meat markets are often found inside gas stations around Louisiana, especially in what’s considered to be “Cajun Country” near Lafayette. Traditional methods of smoking meats are still used. The markets sell andouille, a mainstream spicy sausage, crawfish (especially in the spring), and boudin, a creation of seasoned pork, liver, and rice. 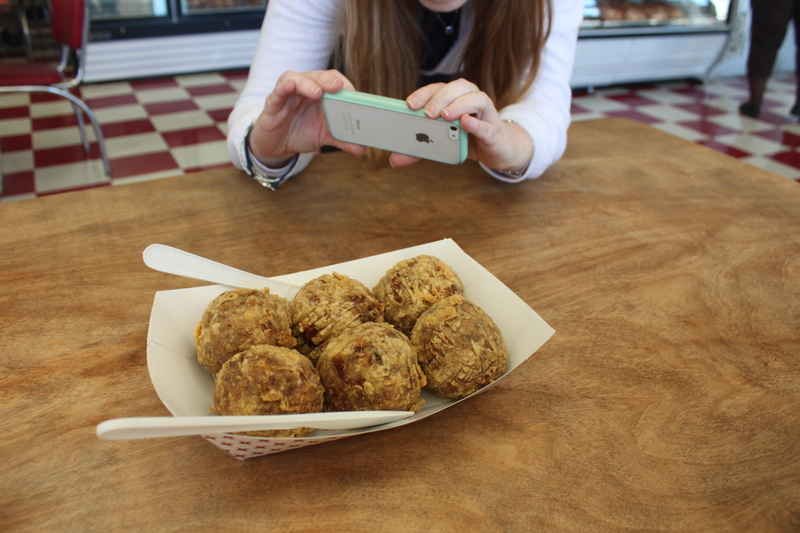 Boudin is one of Louisiana’s signature food items, but it can be an acquired taste. Try both the soft boudin links as well as boudin balls, which are often rolled in breadcrumbs and fried for a crunchy exterior. The types of sauces used in barbecue sandwiches vary by state, but they’re often available at gas stations throughout the region. Alabama barbecue is often topped in a white sauce, North Carolina favors vinegar-based sacue, and South Carolina has a mustard-based sauce. The smell and the sight of a black smoker in the parking lot will signal the establishment has barbecue. Enjoy pork and sauce packed between a soft bun. A soft doughy biscuit paired with crunchy fried chicken is the quintessential Southern breakfast. Fried chicken biscuits can be found throughout the region, but are especially popular in Georgia. The breakfast item has now been popularized by chains like Popeye’s, Bojangles, and Chick-fil-a, but the best ones are still found in gas stations like Golden Pantry or Krispy Krunchy. Parker’s in downtown Savannah offers an upscale version, while Bread Basket at the Chevron in Athens, Georgia is a favorite of students and blue collar workers alike.